Originally published Jan 18, 2017. Republished May 29, 2018. Let’s begin with the formal explanation of a merchant cash advance (MCA) and a brief history. 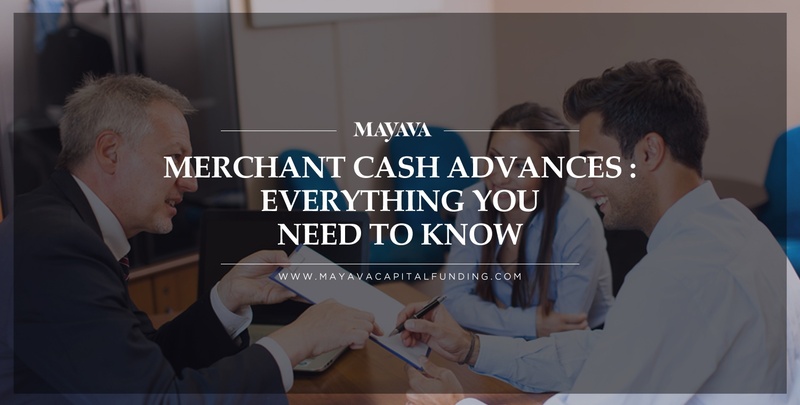 A merchant cash advance is simply an advance of funds from one party to another with a set payback amount. For example, a restaurant that receives $10,000 and agrees to pay back $13,000 from future revenue is a typical MCA. If this sounds a lot like a loan, you’re right. A difference without a distinction? Perhaps. That’s why a brief history and an explanation of the nuances is important. 10% of $5,000 in monthly sales = $500. The payback would be 26 months. 10% of $10,000 in monthly sales = $1,000. The payback would be 13 months. The APR of example 1 is obviously much more advantageous than example 2. Over time the MCA industry began to shift to set daily payback amounts, sometimes through credit card receipts and increasingly through automatic debits known as ACH’s. This created more clarity for both the borrower and the lender, making it easier to determine the APR on a particular advance. But even though an APR is usually important to the business owner, it’s rarely presented in these terms by the MCA company. They have two very good reasons for doing it this way. Acknowledging that a Merchant Cash Advance carries an interest rate means it looks and acts more like a loan. MCA companies explicitly state in their agreements that advances are not loans because they would be taxed differently and they would open themselves up to regulatory scrutiny. The APR’s on advances are extremely high and have the potential to spook borrowers. Even though the industry has become extremely competitive, APR’s on an MCA can range from 10% to 150%. In some cases, even higher. For obvious reasons, even companies that historically offered loan products refer to them in the agreements as advances. So Why Would Anyone Want a Merchant Cash Advance? If you’re considering this type of funding, it’s probably because you’ve been turned down by a traditional financing company or you are in need of quick cash. If that’s the case, you can’t think about it in terms of percentage. You have to think about the opportunity cost of not getting the financing, the savings in time, and the value of the money to you personally based upon your situation. No one in the industry wants to call it loan sharking, but we’ll go there. If friends and family aren’t an option, and you’re not in a strong enough financial position to secure a loan or a line of credit from a bank, then an MCA might be your fastest and best option. Unsecured. Most merchant cash advances are unsecured loans, meaning no tangible asset is pledged against the money. The funder is assuming the risk of the advance, which is why the fees associated with an advance are higher than normal lines of credit or bank loans. It’s important to know that the MCA is taking on 100% of the risk in this situation. Having said that, you will be asked to sign a personal guarantee, which means your credit score is at risk should you default. Moreover, the MCA can take steps to collect their money from you personally in the event of a default, which can be more than a headache. Proof of tenancy: mortgage deed if you own your property or a valid lease. If you lease your business space, be sure you’re current because funders typically contact your landlord. Most business owners are able to provide the documentation above with relative ease. Being prepared with these items will greatly speed up the underwriting process. Improved Credit. Yes, there’s a good chance your credit score will improve if you successfully manage timely payments to the funder. Because funders almost always place a lien on you personally (see “UCC Filing” below), the credit bureaus are able to see that you have secured debt. If you pay down the debt in accordance with the terms of the advance, it might actually improve your score in the long run, which might increase your ability to secure more advantageous funding in the future. Obviously, the opposite holds true if you default on the advance or have trouble paying it off. Important Side Note on UCC’s: At the conclusion of your advance, assuming you have paid it off in its entirety, it’s important to request that the funder’s lien be taken off your personal credit. Believe it or not, most funders neglect to complete this important step. UCC Filing – Get ready for phone calls from brokers trying to get you to take additional funds. One of the most unfortunate practices in the MCA industry is what is known as “stacking.” Once a lien has been placed on you and your business, this information becomes publicly available after a period of time. There are literally thousands of brokers, known as ISO’s, who purchase these lists and “cold call” business owners to ask if they need additional funding. One of the things that sets Mayava Capital apart from our competitors is that we have no such operation and strongly advise our clients to avoid stacking at all costs. Our applicants come to us seeking help and advice. We do not solicit businesses or make outbound phone calls to business owners who already possess debt. The deplorable practice of convincing businesses to take on additional debt they don’t need is actually the reason we created Mayava Capital. Always be on guard when receiving a solicitation such as this, but expect the phone calls once you have an advance, because they’re coming. Credit Pulls. The primary disruption in the lending industry that was started by MCA entrepreneurs is actually a good one, though it has a dark side as well. In the wake of the financial crisis, small businesses took the biggest hit as traditional banks pulled back from funding this sector. It was simply too risky and difficult for them to make profitable loans and Main Street businesses were abandoned like never before. Online lending companies quickly entered to fill the void and took it one step further. They created simple and efficient online lending applications that streamlined the borrowing process and allowed businesses to receive funding at lightning speed compared to the banks. Now for the dark side. Every time you fill out an application, there is a good chance the funder is pulling your personal credit. We’ve seen situations where unsuspecting business owners who thought they were simply comparison shopping had their credit pulled dozens of times in the span of a week. This can destroy a person’s credit rating, which is why consultative brokerage houses like Mayava came into existence to field a single application and shop it to lenders with closely matched criteria. APR – As discussed above, very few lenders will put forward the APR of an advance. The bottom line is that these funds are more expensive for all the reasons we have stated. Lenders really are putting themselves on the line with relatively little security and providing liquidity to Main Street America. 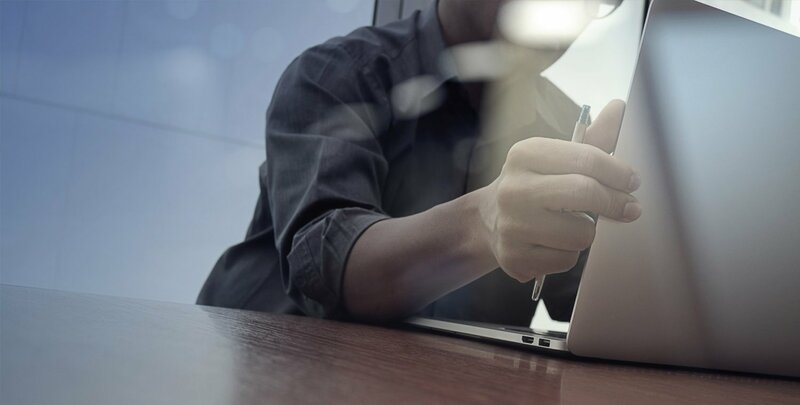 There are some very good lenders out there, which is why it’s important to be armed with this knowledge and to seek the right opportunity for your business. A little information and guidance can go a long way. So now you know the ins and outs of the Merchant Cash Advance world. The most important thing is to be realistic. If the difference between securing an advance and not getting the funding is going out of business, you might think your best option is to go for it. After all, it’s unsecured. This is exactly the wrong response. In business, as in life, you have to know when it’s time to cut your losses and move forward. The immediate shame and hurt of closing a business is often less painful than a prolonged period of getting harassing phone calls from a horde of angry creditors. Doing business under normal circumstances is hard enough these days without the added stress of new debt, harassing phone calls from brokers and the possibility of defaulting on debt that could destroy your personal credit. Take your time. Do your homework. Make the right decision for you, your family and your employees.